Aerzen supplies blowers for industrial and for wastewater treatment. 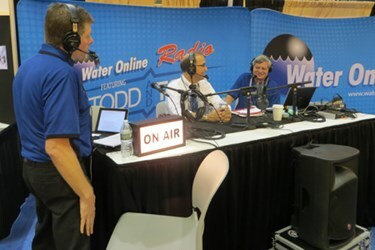 Tom McCurdy, Regional Sales Manager at Aerzen, told Water Online radio in an interview that his company is unique in that they have the ability to help customers pick the right technology for the application without bias because they have multiple technologies available. They will work with the customer within what they need in terms of maximum and minimum flows, pressure swings, on-off cycles, etc., and will help guide a customer towards the right technology. Click the radio player below to hear more detail about the technologies Aerzen has to offer.